RallyX Nordic has today announced a new long-term agreement with Cooper Tires to provide title sponsorship for the championship. The multi-year partnership will see the series become known as RallyX Nordic presented by Cooper Tires. RallyX Nordic has enjoyed a long-standing association with Cooper Tires in its role as official tyre supplier in the Supercar and Supercar Lites categories. With this latest agreement, Cooper is taking the opportunity to align the brand’s involvement across the FIA World Rallycross Championship, FIA European Rallycross Championship, ARX (Americas Rallycross) and the French Rallycross Championship. 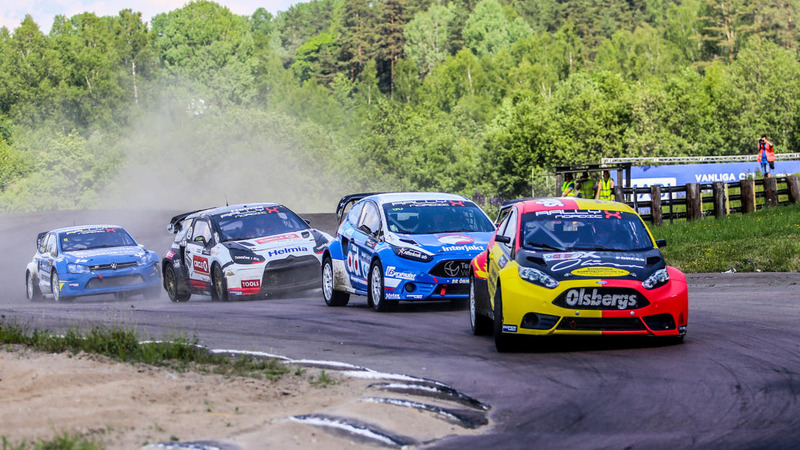 Moreover, the commitment from Cooper Tires gives it another prominent motor racing platform to demonstrate its world renowned brand and validates RallyX Nordic’s status as one of the world’s leading domestic rallycross series. Cooper supplies RallyX Nordic with ACB11 dry tyres – which have been developed from over 20 years of testing. Cooper Tire Europe has worked with teams to create tyres that allow rallycross stars to compete flat-out lap after lap, on gravel and asphalt surfaces, in one of the world’s toughest and most spectacular forms of motorsport.